The overworld isn’t the only place to explore in Minecraft. Players can also make their way through a twisted, hellish pit called The Nether. This fiery, underground environment contains some unique blocks and terrifying new enemies. Our complete guide to the Minecraft Nether will show you what you’ll find there and how to build a portal of your own and explore the Nether for yourself. In short, the Nether is a bit like Minecraft’s version of Hell. It’s a fiery pit complete with lava, burning rock, flying Ghasts that spit explosive fire, and Zombie Pigmen. It’s not exactly a great place for an extended vacation. The Nether is a very dangerous place, but it’s also the only area in the game where you can pick up blocks of Netherrack, Soul Sand, and Glowstone. Netherrack is a type of rock that burns indefinitely, Soul Sand can be used to reduce the movement speed of any player or creature that crosses it, and Glowstone can be harvested and recombined to create lighted blocks that can be placed in your base. You can also harvest a fair amount of gunpowder by killing Ghasts, and the Zombie Pigmen that inhabit the area drop fully-cooked pork chops when defeated. 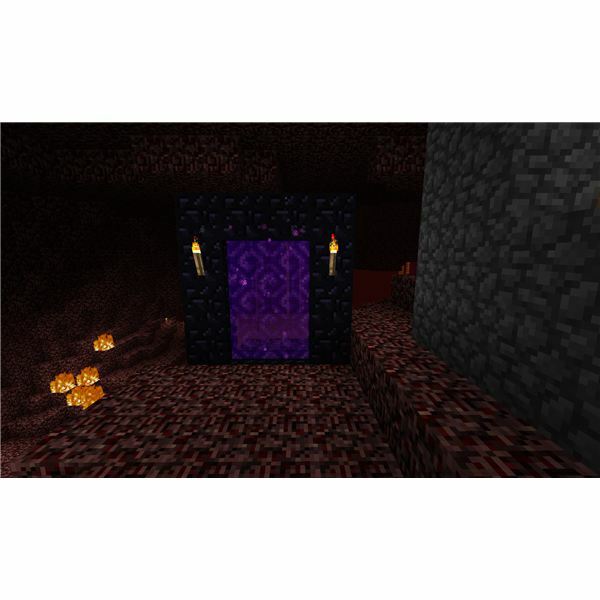 The only way to cross over into the Nether is to build a portal out of obsidian. The portal must be five blocks high by four blocks wide, leaving a 2×3 opening in the middle. Once the portal is constructed, players must light the air inside the portal on fire using a flint and steel. To build a portal to the Nether, you must first obtain 14 blocks of Obsidian. There are a couple of ways to do this. You can find it naturally occurring in caves where there is both lava and water, but this is extremely rare. You can also manufacture it by combining standing lava and running water, harvest it with a diamond pickaxe, and haul it to your desired location. This method is perfectly acceptable, but is not the fastest way to get your portal up and running. 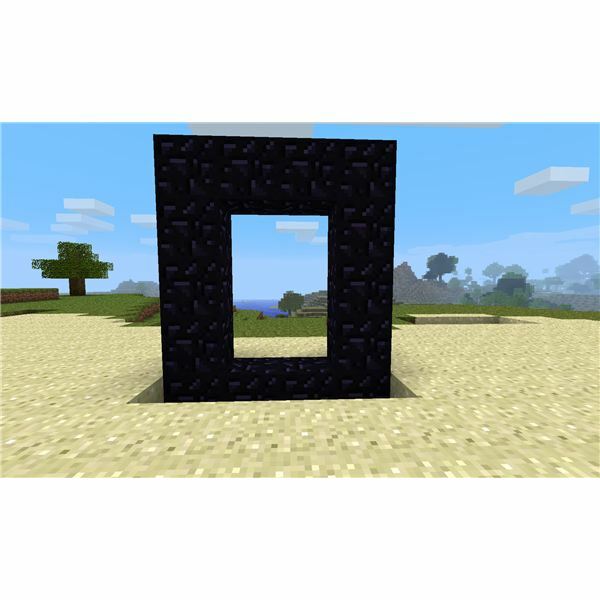 Instead of hauling the obsidian where you want to set up your portal, why not just create it on the spot and arrange it into a portal shape, no transport necessary? To create a portal on the spot, you’ll first need to gather a few things. 10-15 buckets of lava (not all at once, so you can run back and forth to a nearby spot to grab it if necessary). A stack of dirt or cobblestone blocks to use as forms. A single bucket of water (possibly more if you’re not careful). The idea here is to pour lava into forms like you would concrete, then use water to cool it into obsidian on the spot. You’ll need to create a block or two at a time and be sure you have an overall plan for the design because mistakes are costly, especially if you don’t have a diamond pick. Your first step is to create the base of your portal. 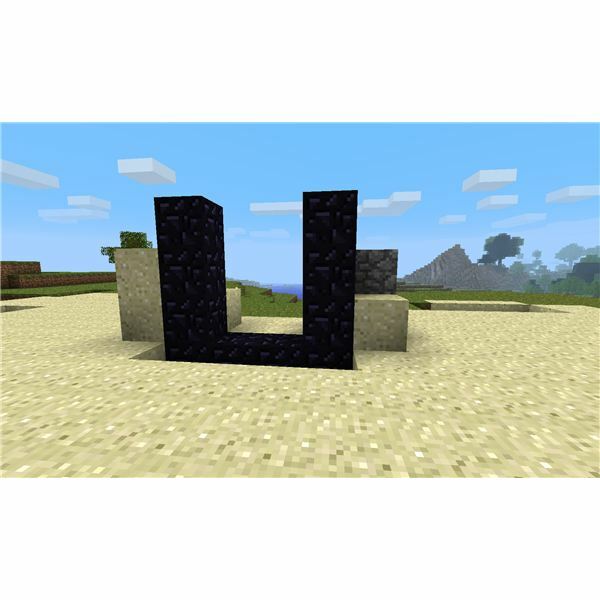 You can either create a line of four obsidian blocks for a full portal or just two if you’re working on the economical version. This guide will focus on the full portal, just know that you can achieve the same results while omitting the top and bottom corner blocks. 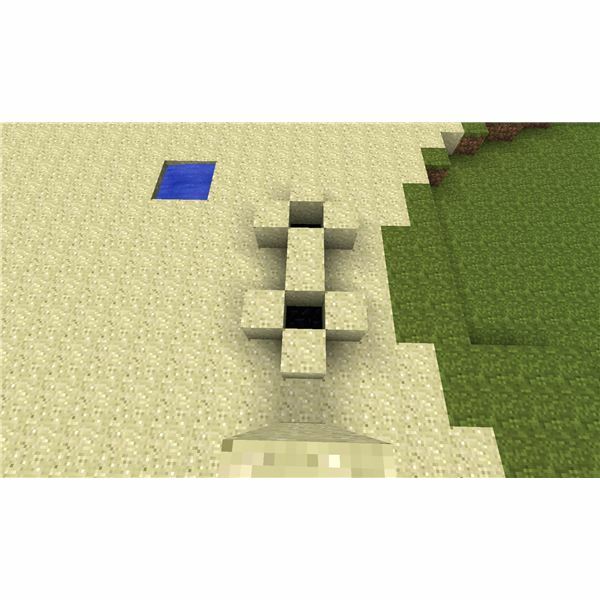 Dig a hole two blocks wide where you’d like to place your portal. Pour lava into each of the holes and make sure it is standing still (no flowing animation). Flowing lava cools into cobblestone, only lava that is standing still turns into obsidian. Once your lava is stationary, switch to your bucket of water. It’s very important that you don’t put the water directly into the hole (which replaces the lava with water). Instead, place the water on a block to the right or left of your lava, then immediately pick it up again. This will cause the released water to flow over your lava and cool it into obsidian. If you’re quick enough in grabbing the water, you can use it repeatedly to cool all of your lava. Once your two blocks are done, dig two more holes right next to them and repeat the process. Congrats, your portal has a base. Building the sides of the portal is slightly more complicated, but easy enough once you grasp the concept. Place four blocks around and above both of your end blocks. Pour lava into the hole and cool it. This leave you with the lower block of each side of your portal. You’ll want to repeat this process until each side is five blocks high, leaving a three block high opening in the middle. Use your extra dirt or cobblestone blocks to build stairs so you can climb up and work. Once the sides are done, repeat the process you used to form the base, planting your own form blocks around the perimeter of the blocks you’d like to create. Pour in enough lava to create a pool (creating only two blocks at a time is recommended, as it’s a bit easier), cool it off with water, and your portal frame should be complete. The final step in portal creation is to use a flint and steel to set the air inside the portal ablaze. Just walk up and right click to activate the portal with your fire making tool. Once it’s afire, you can simply step inside and wait a second or two to find yourself transported to the Nether. Just make sure you stock up on healing items and weapons before you head inside. It’s an unforgiving place. All references and screenshots from Minecraft.